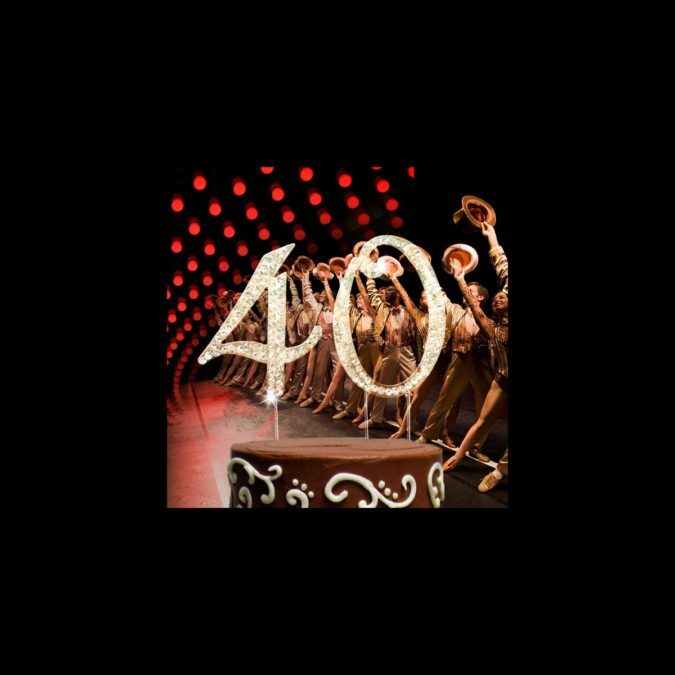 Forty years ago, A Chorus Line, the beloved downtown musical celebrating the lives of Broadway's hard-working dancers, made its way uptown to the spotlights and footlights of Broadway, and the American musical has never been the same. The show, spearheaded by legendary director/choreographer Michael Bennett with music by Marvin Hamlisch and lyrics by Edward Kleban, opened at the Shubert Theatre on July 25, 1975, and tells the story of 17 dancers vying for eight spots in a Broadway chorus. To celebrate the show's big 4-0, we've rounded up 40 of our favorite fun facts about the game-changing musical, with a nod to the words that have been a part of this singular sensation from the beginning: "This show is dedicated to anyone who has ever danced in a chorus or marched in step…anywhere." 1. Broadway lore has it that director/choreographer Michael Bennett thought up A Chorus Line from scratch, but the famous interviews on which the show was based—hours and hours of tape of dancers sharing their life stories—were actually started by veteran Broadway dancers Michon Peacock and Tony Stevens in January 1974. 2. Bennett, who had just worked with Peacock on Seesaw, was part of this first all-night interview marathon, and the stories he heard clicked with an idea he already had rattling around in his head—making a dance musical about dancers. He was inspired, believe it or not, by the Watergate hearings, and the "falsehood and apathy" that gripped the country in those days. 3. Bennett played the interview tapes for Public Theater impresario Joseph Papp, and convinced Papp to fund a five-week workshop of a new musical, which was virtually unheard of for anything but experimental theatre in those days. 4. The concept of the show was truly original: a show with no real set, no costumes to speak of, no star and no narrative had never been seen on Broadway before. 5. Before that first interview session, four of the dancers—Sammy Williams, Thommie Walsh, Priscilla Lopez and Kelly Bishop—were so nervous about the event that they met up at Walsh's house to get stoned. 6. In a contract signed early in the development process, the dancers involved sold their stories to Bennett for $1 each. 7. When A Chorus Line got picked up by Joseph Papp and the Public Theatre, the original dancers had to audition to play themselves in the final version—and not all of them got the job. 8. Bennett and his team played fast and loose with the interview material—for example, Maggie's story about pretending to dance around the living room with her father, "an Indian chief," was actually Donna McKechnie's story, and she played Cassie. 10. At one point during previews, Bennett had his good friend Neil Simon secretly punch up the jokes. As an inexplicable thank you, Bennett sent Simon a set of satin pillowcases. 11. During the workshops, the characters that landed roles at the end of the show would change at every performance, so the actors would be genuinely surprised (and sometimes genuinely hurt). Bennett locked down those choices for the final show. 12. In previews of the show, former star dancer Cassie didn't get hired. It was Neil Simon's then-wife Marsha Mason who called up Bennett and suggested (strongly) that he change the ending to be less of a downer. 13. Bennett was notoriously difficult to work with—before opening night in Los Angeles, he came up to Sammy Williams, who played Paul, and demanded that he produce real tears during his monologue that night. When Williams asked how he might do that, Bennett suggested that he "think about how much I hate you." It worked. 14. Donna McKechnie, who won a Tony Award for playing Cassie in A Chorus Line, was briefly married to Bennett in 1976, but they actually first met as teenagers dancing on the musical TV show Hullaballoo. 15. Kelly Bishop, who played Sheila and won a Tony Award for Best Featured Actress in a Musical, went on to play Baby's mom in Dirty Dancing and Emily Gilmore on Gilmore Girls. 16. Bennett and Baayork Lee, who created the role of Connie, were also old friends—they had already worked on five Broadway shows together by the time A Chorus Line rolled around, and Lee credits Bennett with letting her "walk in platform shoes and wear my hair down" so the 4-foot-10 actress could stop playing children. 17. Another small world coincidence—Clive Wilson, who took on the small role of assistant director Larry, landed the role after reconnecting with Bennett, with whom he'd danced on a CBC variety show in Toronto as kids. 18. Amazingly, A Chorus Line was the first Broadway show for composer Marvin Hamlisch and lyricist Edward Kleban—though Hamlisch already had two Oscars for his work on The Sting and The Way We Were. 19. Footing the bill for A Chorus Line was a major financial strain for the Public Theater in the beginning, but the buzz about the show was so intense that the run sold out fast, and a move to Broadway seemed inevitable. 20. Hamlisch is one of only two people (Broadway legend Richard Rodgers being the other) to win both the EGOT and a Pulitzer Prize. 21. Kleban hated A Chorus Line hit "What I Did For Love" so much (he thought it was too focused on being a hit, rather than forwarding the story) that he forbade anyone from performing at his funeral—he even wrote it into his will. 22. Despite Kleban's hatred for it, "What I Did For Love" was indeed a hit—Aretha Franklin and Petula Clark both recorded it on albums. 23. Bennett handpicked Barry Bostwick to play Zach (the on stage show's director, and a version of Bennett himself), but he left the show during the second workshop. The role of Zach then went to Robert LuPone, brother of the one and only Patti! 24. Priscilla Lopez, who sings the famous line about loving Robert Goulet in "Hello Twelve, Hello Thirteen, Hello Love," says that Robert Goulet made a point of visiting her backstage after he saw the show. 26. Clive Barnes' original review in The New York Times opened with the sentence: "The conservative word for A Chorus Line might be tremendous, or perhaps terrific." 27. A Chorus Line was nominated for 13 Tony Awards in 1976 and won nine, including Best Musical, Best Director and Best Choreography. 28. In 1976, A Chorus Line became the fifth musical ever (after Of Thee I Sing, South Pacific, Fiorello! and How to Succeed in Business Without Really Trying) to win the Pulitzer Prize for Drama. 15. After her marriage with Bennett fell apart, McKechnie's depression stopped her from dancing. She choreographed for the L.A. Raiders cheerleading squad before returning to New York and the dance world. 29. Back when the show was just taking off, Bloomingdale's wouldn't give the young dancers charge cards, but they were more than happy to help them come hawk the Chorus Line merch—with the dancers' images on it!—being sold at the height of the show's fame. 30. On September 29, 1983, a massive A Chorus Line gala performance celebrates the show's 3,389th performance, surpassing Grease as the longest-running show on Broadway. 31. Bennett invited all 457 of the show's alumni from its eight companies to perform for the 3,389th performance; the stage had to be specially reinforced to support them all. 32. A Chorus Line remains the sixth longest-running Broadway show ever, having closed on April 28, 1990 after 6,137 performances. 33. When A Chorus Line closed in 1990, The Public Theater (then the New York Shakespeare Festival) had made a net profit on it of $37.8 million, and funded many of the company's other projects, including Shakespeare in the Park. 35. A 1985 film adaptation didn't fare so well—of Michael Douglas as Zach, The New York Times' Vincent Canby wrote, "His warmest smile would freeze a cardboard container of coffee in five seconds." 36. Bob Fosse and Gwen Verdon's daughter Nicole Fosse is in the Chorus Line film as the tone-deaf Kristine. 37. Bob Avian, who co-choreographed the original production of A Chorus Line, returned to direct a 2006 Broadway revival of the show, with Bennett's original choreography re-staged by Baayork Lee. 38. The next famous man to play the role of Zach? Saved By the Bell favorite Mario Lopez, in the 2006 revival. 39. Lee went on to set Bennett's choreography on almost all of the A Chorus Line revivals of the last 30 years. 40. One of the show's original endings involved bringing up an audience member on stage to perform, to show just how much a great chorus can do to make anyone look great. The idea was scrapped, and "One" became the show-stopping ensemble finale.